Houses & Homes VA: Which damages credit more – a short sale or a foreclosure? 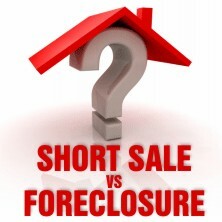 Which damages credit more – a short sale or a foreclosure? This is a question that many distressed home owners often ask but the answer is not always a simple one. It is very difficult to predict with any accuracy exactly how much damage a short sale or foreclosure will have on any given person’s credit rating because each circumstance is unique and a person’s credit history will have a bearing as well. I always tell people that our personal credit histories are a bit like fingerprints; each is unique. As an example, 2 people may be experiencing a foreclosure at the same time but their circumstances are quite different and will determine just how much of a “hit” they will take on their credit rating as a result. Perhaps person #1 has been late numerous times on many of their credit payments including their home, car and several credit cards. Person #2 however has none of these additional burdens and but can no longer pay their mortgage due to a recent job loss. Clearly their credit scores will be much different even if they both began with the exact same score. When comparing a short sale to a foreclosure Fair Isaac states that the damage done to the FICO score will be the same. This is the guide that they have provided to answer this question. As you can see, being late repeatedly on mortgage payments as well as experiencing a short sale or foreclosure can be quite damaging to one’s credit rating. Often, the homeowner’s credit score will drop as much as 200 – 300 points or more as a result of late payments and the eventual loss of the home but there doesn’t seem to be much of a difference between either a short sale or foreclosure according to Fair Isaac.